Rule #1. If you don't know how to do it ASK ! Pretty simple Hugh? Well your probably asking how did I come up with these awesome rules? I messed up pretty big time, when I got my dash and tried to test fit it for the first time. I figured that the fiberglass dash would slip over the factory dash pad so I ripped out the old Dremel tool and fired that sucker up. I zipped off the defroster duct on the Knight dash leaving a big hole in its place. 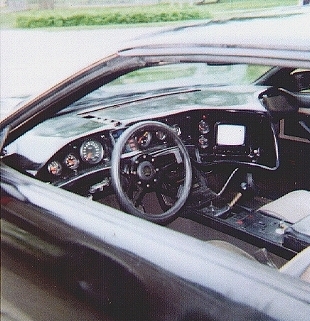 Seems that it still wouldn't fit over the factory dash. 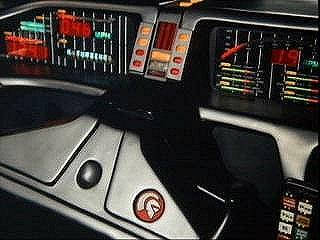 I eventually figured out that you had to remove the factory dash pad in order to install the Knight Rider dash, by then it was to late. I sent off a angry post to the news group and got a reply from Mark and pretty much everyone else saying "You should of asked before you did that." Talk about feeling stupid. Pretty much everyone in the Knight Rider online community is friendly and open to questions especially the people you buy your parts from. They don't want to see you fail in your work and will help you along if you ASK.